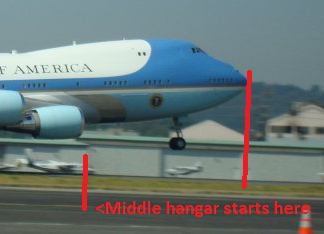 I have a picture of Air Force One I took fairly up close several years ago. Unfortunately, I don't remember if that was on arrival or departure. Is there anything visible in the airplane's configuration (flaps, angle of gear?) that would indicate if this is arrival or departure? 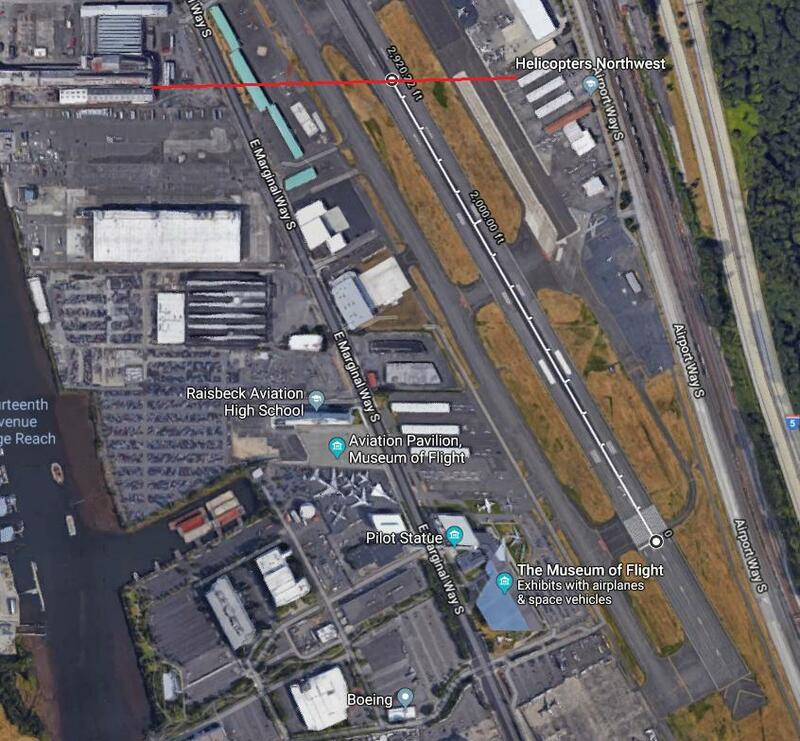 ...that the plane is about 3500ft into the runway proper, and 4500ft if we count the displaced threshold (and just off the ground) with the face of the southmost Jorgensen Forge building visible in the background (along with the green GA hangars). At 3500-4000ft into the runway, hovering over the last markers in the TDZ, this seems quite late to be a landing. It might be a very deep float, but I would expect more precision from an Air Force pilot flying the CINC around. Air Force One is heavier empty, but probably overall lighter than a loaded 747-200 (and has powerful engines), so a 4000ft takeoff run for a light 747-200/VC-25 is sensible and probably more likely than an extremely late landing. 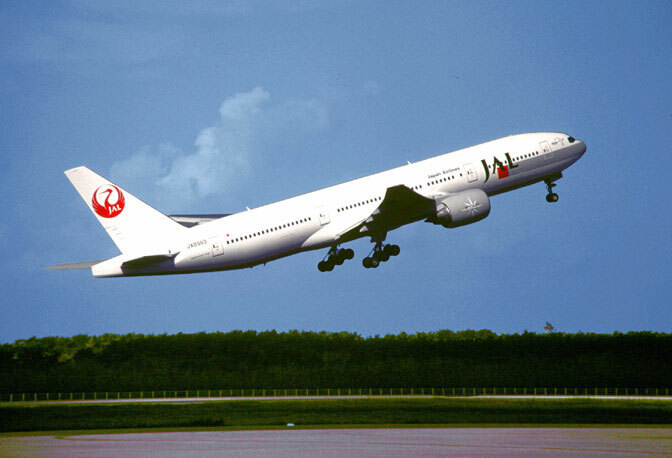 The flaps are more than minimum for takeoff, but seemingly less than normal for landing. Maybe 31L was running shortened that day? Entry at B10 onto the displaced threshold would also give them an extra 1000ft - V1 just past the aim point and rotate near the end of the TDZ markers seems sensible enough. After running a series of simulations, it seems difficult for the VC-25 to be able to takeoff from where we see it, even when starting from B10. The VC-25 is 525,000lbs empty. 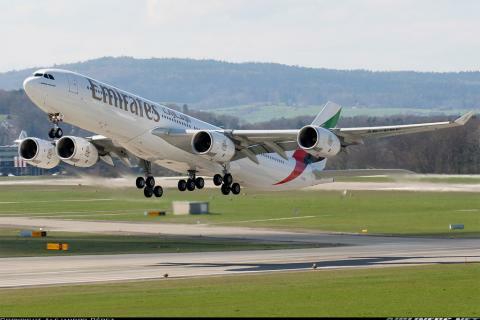 With only 100,000lbs load (fuel+people) it can takeoff by B5 at flaps 20, but only by lifting off below V2 (no wind). This has to be a landing (confirmed by the newly discovered set of photos), but it is a very late landing indeed. Please skip to the edit after the picture to see my actual answer. I'm leaving my original answer intact though, since other answers have referenced it. There isn't any smoke behind the tires, even though it would have just touched down. The nose angle looks a little high for a landing. The flaps look like they are set for take off. So, yeah... I'd say it was taking off. EDIT-- I've had a long hard think about it and I've come to this conclusion: It can't be determined if the plane is taking off or landing from the picture. Tires -- Either they just made contact and haven't produced any smoke yet, or, they pilot managed to land it so gently that there's simply no smoke. Location -- Yes, as J... established, it's roughly 4000 ft down the runway. But perhaps the pilot was just having a bay day and floated it a bit. There's 6000 ft of runway left, they can still stop. Nose Angle -- As fooot pointed out, it's entirely possible the nose is high because the plane is being flared. Tires -- They wouldn't be smoking because they are being lifted off the ground. Location -- If the plane is mostly empty (no press, just a couple people) and it's configured to Flaps 20, it's entirely possible to get off the ground in 4000', sometimes less. (I need a citation, I came across this doing a bunch of research last night, I swear!) 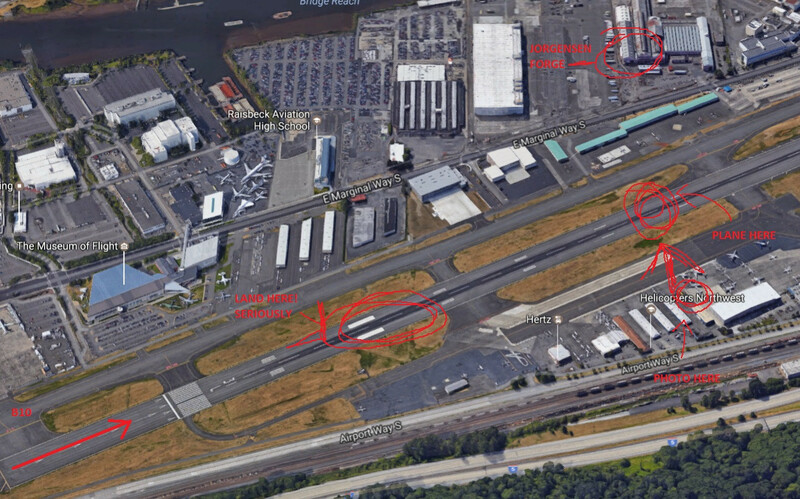 If you combine that with J...'s idea that perhaps the plane entered at taxiway B10, then the plane could easily get off the ground by the time it reach that location if it is in the configuration I've described (Flaps 20, lightly loaded). Nose Angle -- Well, it looks to me like it's angling up for lift. But again, this can go either way. Conclusion: Seriously folks, this can go in either direction. This has basically become the "Blue Dress" of Aviation.SE. You can't easily tell if it's taking off or landing from the picture. Now, if someone else who was there that day could show up...maybe with weight and balance numbers...and some idea of how quickly Air Force One may have wanted to take off...maybe a grainy sound recording from the grassy knoll...and maybe a full video, verified by an independent panel of plane watches, the FAA, The Air Force, and the NTSB... Then we'd know ;). But as it stands, it simply isn't possible to tell. The difference in flaps is a bit subtle but seems to match landing best. Spoilers or reverse thrust deployed, which will indicate a landing. The angle of the photo is bad for seeing this, and it would be a little early for them anyway. Smoke from the tires, indicating touchdown on landing. It could be off screen, but it's also hard to tell for sure if the tires are on the ground. Clues from other scenery in the image that will help place the aircraft at a certain point on the runway. Landings should be near a threshold, takeoffs will be further down. There isn't much to go on in the OP but with a location it may offer clues. Based on the lighting this picture was clearly taken around mid-day. 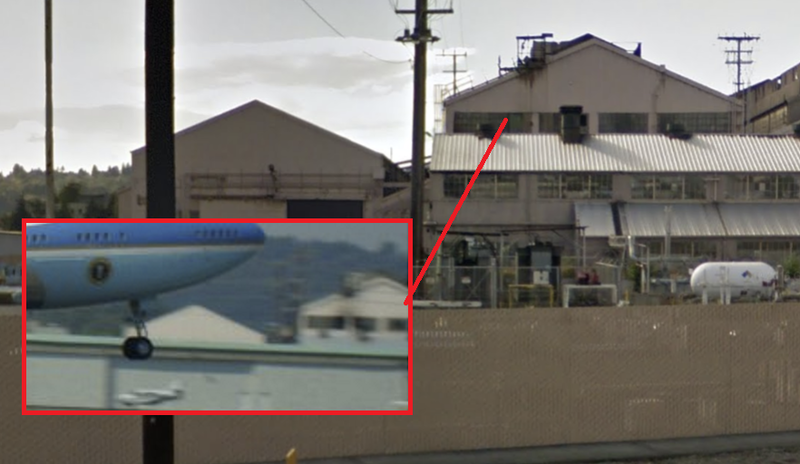 We can look at the history of recent presidential visits to the Seattle area to see when Air Force One would have been on the runway around that time. October 2015 - AF1 arrived during the day and left in the evening. If this photo is from 2015 it would have to be a landing. However, those photos show a more hazy/overcast sky while the OP photo looks more clear. July 2014 - AF1 arrived just after 1500 local and left in the evening again. The shadows seem to suggest that the OP photo was earlier than 1500 local (hangars still in daylight, see 2010 photos) but it would still be more plausible than a departure. April 2014 - AF1 flew to KPAE. November 2013 - AF1 flew to KSEA. 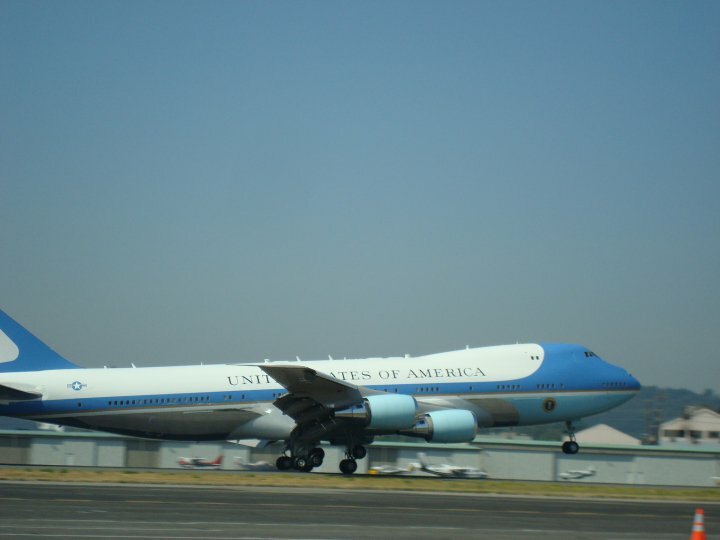 February 2012 - AF1 flew to KPAE. October 2010 - AF1 flew into KBFI, looking for a good reference. August 2010 - AF1 arrived in the evening, and left during the afternoon. If the OP is from 2010 this would support a departure. But the photo of the departure has different lighting than the OP. 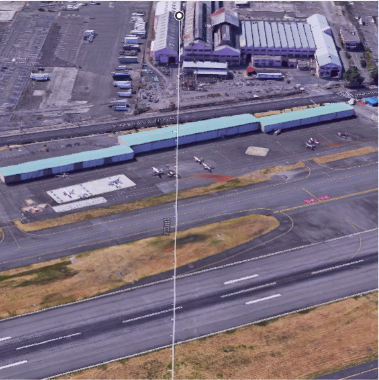 Measured directly on the image, the angle between the cheatline and the runway is 5.5°; the true pitch angle of the plane will be slightly less than that, because of a little perspective foreshortening. 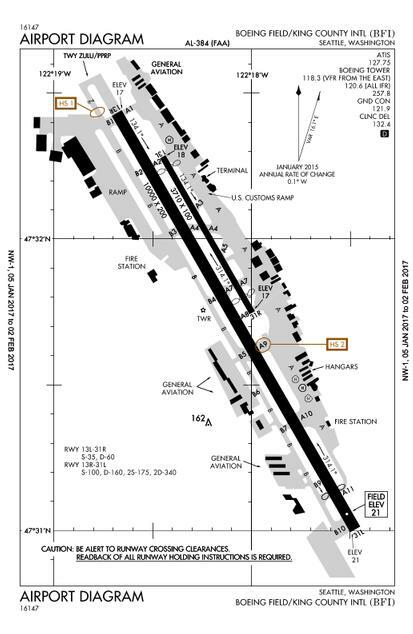 According to this document from Boeing, a typical liftoff attitude for a 747-400 is 10°. (The VC-25 in the picture is a modified 747-200, but none of the various aircraft in Boeing's diagram show a liftoff attitude of less than 7°). Furthermore, the recommended rotation rate is 2 to 3 degrees per second, so if this image shows a departure, we must be looking at a moment only about two seconds after rotation was initiated. Since the aircraft in the picture is definitely airborne (no matter which part of the picture is the runway, it is unmistakable that none of the main gear bogies have all four wheels on the ground), I conclude that it cannot be a takeoff – at least not an ordinary uneventful one. 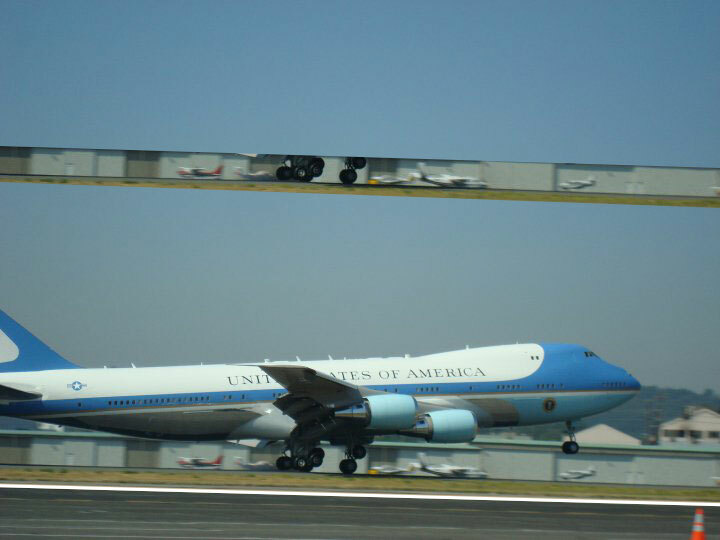 Why don't we actually analyze videos of Air Force One landing and taking off instead of just analyzing the pictures? Here is a video of it taking of at Boeing Field on 13R (the same runway, but opposite direction). So that makes up, well, ~75% of runway length. Following J...'s answer, we can see the plane is somewhere between A10 and A9 when it touches down. We also agree that the flaps setting is more than a conventional takeoff but less than a conventional landing. 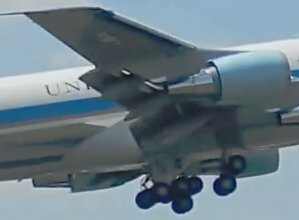 Would Air Force One add more flaps for a short-field takeoff? Unlikely. 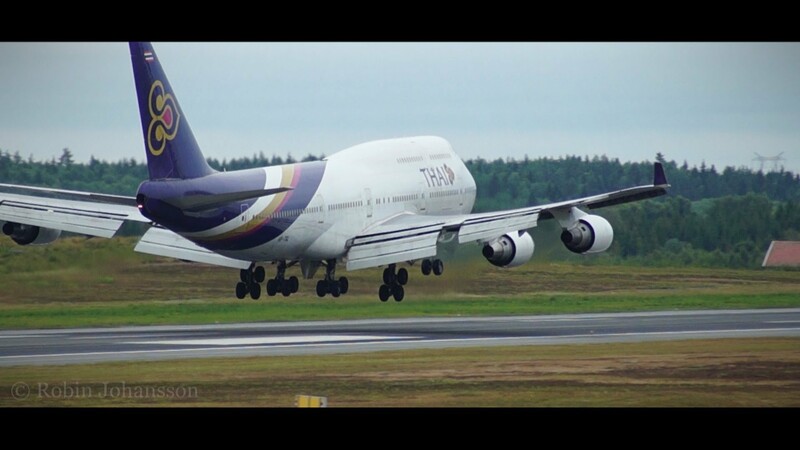 They don't carry as much passengers and cargo, they have 4 engines, each engine is more powerful than a typical B747 engine, and they have a 10,000 feet runway. The image is either taken moments after takeoff, or a split second before touchdown. Note that the wheels are hanging, meaning they carry no weight of the aircraft at that point. If this was a takeoff, then rotation would have been initiated somewhere near the PAPI lights, between A10 and A11. How can it accelerate to Vr within such short distance?! Therefore, I conclude: the plane is landing with a faster-than-average approach speed and a less-than-average flap setting. Another way to possibly determine the answer to the question: check the photo's exif data to see time photo taken, then google where potus was going that day which will determine if this was origin or destination. Google that day's news for further clues on potus schedule and location, if necessary. Don't be fooled by the black line which looks like that the plane is on the ground. The runway is marked with a white line, so the plane is still 3+ m in the air. So I think it's landing. The absence of any smoke from the tires is reason #1 to suspect takeoff. If the runway is short, both takeoff and landing would have more flaps than if it were long, and the somewhat intermediate flap setting there would make sense for takeoff, not at all for landing. If the runway is long, you'd expect a lesser flap setting for takeoff, and the flaps shown might be reasonable for landing. Don't know what their practice is to always land full flaps or not. Given the GA hangars in the background, I'll go out on a limb and guess that the runway isn't 10,000' long, and thus the flap setting is more appropriate for a short-field takeoff, rather than this being landing on a long runway. Beyond that, the absence of spoilers isn't definitive, they take some amount of time to extend upon touchdown. Likewise, reverse thrust deployment wouldn't occur until the aircraft is definitely on the ground, so its absence in the photo doesn't drive any conclusion either way. My best thought is, it's a takeoff. I can conclusively say the nose of the plane was about 2920 feet from the end of the runway proper (not including the extended area). Notice the second door of the middle hangar lines up with the nose of the plane. To see where the next building starts just look at the roof line. Here's my line of sight from the photographer lined up with the doors of the second hangar. As you can see, they look very similar. @JayCarr stated that the nose angle of the plane looked too high for a landing. However, it is within the safe range airplanes are required to keep while landing (what that is, I have no idea). However, @fooot stated that the angle of the flaps indicated it was landing. That is not completely true. Yes, the angles of both the nose and flaps can indicate landing, but they can also indicate takingoff. Judging by the flaps, state of tires, and likeliness of the picture being taken in landing or liftoff, I would say this plane is landing. If you wanted to take a picture of a plane taking off, I'm sure you would have done it while it stil had some of its wheels on the ground. But if you wanted to take a picture of a plane landing, you would probably do it while it was still in the air. I could be right, I could be wrong. But I do encourage the community to solve this puzzle. P.S. Just a tip, @JayCarr, you said "The wheels would not be level if it were in the air". The wheels are not level. If you notice the angle of the white line on the runway, you'll see that this picture was taken at a tilt. If you turned the image (or your head) a bit to the side, you would see some significant differences with what you stated in your answer. However, you could find something significant, as well. Good luck! Not the answer you're looking for? Browse other questions tagged landing flaps air-force-one configuration or ask your own question. Why can't this blended wing body trijet airliner fly? What is this smoke coming from an airplane wing when it is landing? Is it normal for the flaps to move like this? Do modern airliners have a flaps warning indication?